Cusco is considered one of the most beautiful and historic cities in all of South America. Thousands of people flock to the Andean town every year and hundreds make Cusco their home. Cusco was the heart of the Inca Empire and as you will see on your visit, the city is full of ancient Inca ruins and plazas. Away from the main plaza, you will find local markets full of color to explore, see how the locals shop and maybe try a cheap meal from one of the many vendors. 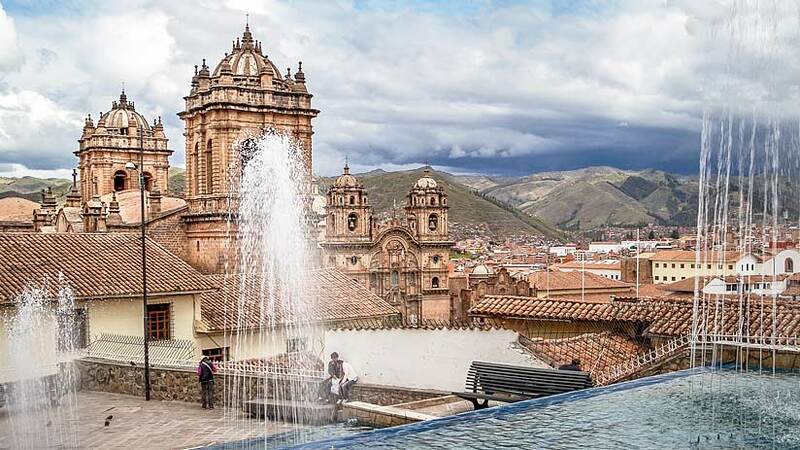 There are many leisure activities Cusco to enjoy in and around the city, this list is endless so here we are going to give you the top 4 that are must see on your next Peruvian vacation. Why visit Cusco city you may ask? Cusco was considered by the Inca`s as the navel of the universe and from here is where the Empire was ruled. In Inca times, the city was full of gold laden temples and places of worship. All throughout the year there were many celebrations and the Inca`s prospered. When the Spanish arrived, they quickly converted the Inca people to Catholicism and converted the Inca temples into churches. 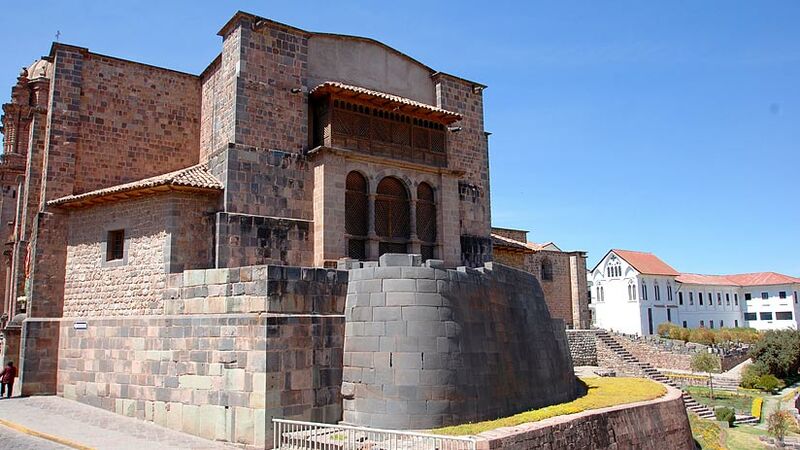 On a Cusco city tour you will visit the many Churches built by the Spanish filled with art and treasures that were created by the famous Cusco School, see how the Spanish built their church on the foundations of the Inca Temples. Visit the ruins the Inca ruin of Sacsaywahuman where the Inca held many festivals to celebrate and worship the gods. Also on your city tour, see the other ruins of Puka Pukara and Qenko and here about the history of the sites. 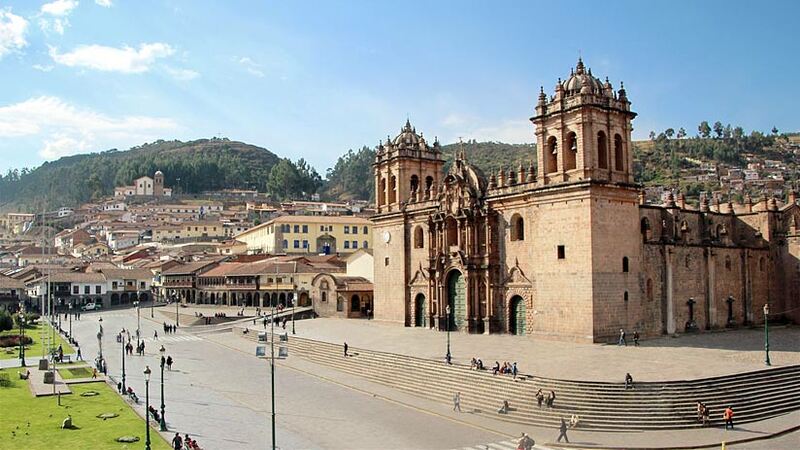 Number 1 on our list of leisure activities Cusco is the Plaza de Armas in the center of Cusco. 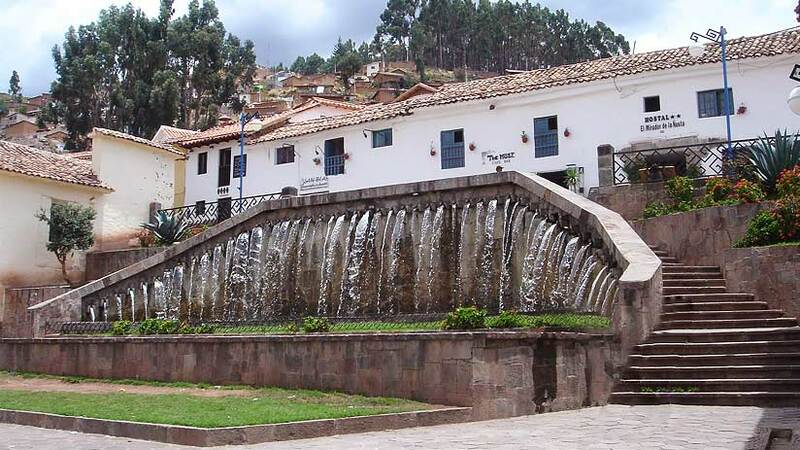 The plaza is a great place to just sit and soak up the charm and atmosphere of Cusco. Spanish Colonial houses and churches that are a reminder of the city’s history surround the plaza. In Inca times, the plaza was much bigger and used for many great Inca celebrations. Today the plaza is a lively hub where locals and international visitor mingle; the plaza features many wonderful restaurants and lively nightlife. A great place to people watch, spend some time in the plaza. Number 2 is take a walk to Hatunrumiyoc Street, a lovely pedestrian walkway that leads away from the Plaza de Armas toward the San Blas district of Cusco. The street is most famous for the 12 angled stone. This is the only stone of its kind in Cusco or anywhere else for that matter and when you see it, it will leave you wondering how they managed to build such a wall. The wall stretches for the whole block and is made from green diorite stone that are pieced together perfectly, so perfectly in fact that you will not be able to fit a knife between the stones. The street also features small markets for souvenirs and some nice little cafes. Do not miss Jacks Café located at the end of the street, for a tasty mix of Peruvian and International food. Number 3 if you have the time take a walk to San Pedro Market; this market is located around 3 blocks from the Plaza and is a great way to see how the local people live their daily life. 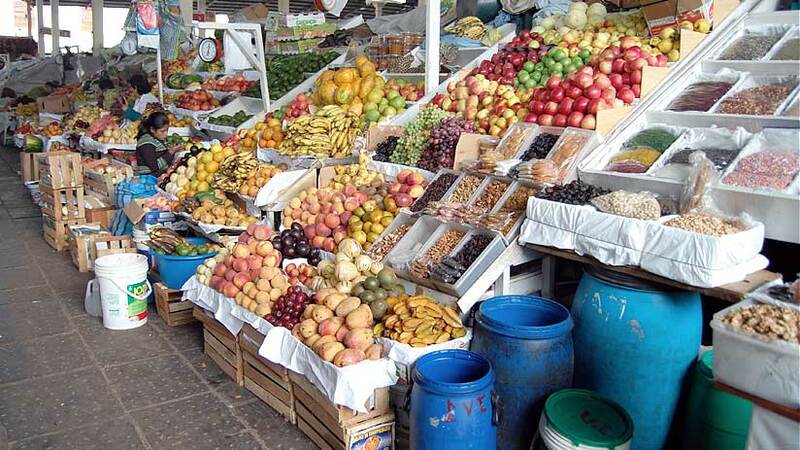 See a range of fruits and vegetables and meats all available for sale. Walk to the bottom half of the market and there are vendors selling fresh fruit juices from all varieties of fruit, some you will never have heard of but take the time to try. Further down try some of the tasty menu options for lunch, this is great way to get a cheap meal for lunch. Make sure you eat at the busy stalls, as this is a great indication that the food will be good. In addition, you will find stalls selling cheap souvenirs for you to take home. Number 4 and lastly for your leisure activities is the city is famous for its nightlife and restaurants. There are many restaurants to choose from Vegetarian to expensive Peruvian cuisine you will never go hungry. If you are on a budget than try the Menu`s that are on offer every lunch time. The Menu features a soup, a second and sometimes even a desert. At night, the city comes alive with bars and nightclubs on nearly every corner. Dance the night away in one of the many discos that the city has to offer. Cusco is a hub for young travelers and the main square is full of foreigners every night. 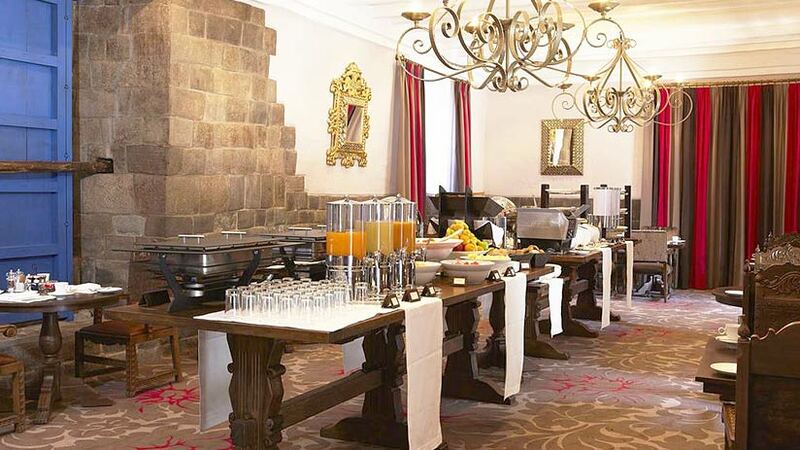 No article about Cusco is complete without a mention of the Hotels in Cusco Peru. Many of the hotels in the center of the city are housed in old Spanish Colonial buildings and all have their own history. Most have been restored and have all the modern cons but have kept their ancient style. Some of the more expensive hotels come complete with art collections and beautiful patios. Do some research and find the perfect hotel for you. Tour Peru the right way and discover all that Peru has to offer, you will not be disappointed with a fabulous trip to Peru. Peru Activities, Travel To Peru culture, cusco. permalink.